As you are trying to setup your survival kit, you realize that, apart from your foldable knife, you can’t go without a good fixed blade knife. No matter how efficient or sharp a foldable knife may be, there are some situations where the fixed blade knife is the better option. 0.2 What makes a good fixed blade knife and what doesn’t? The fixed blade knife is a versatile tool and it’s not only bush craft or wilderness survival where you can use it. 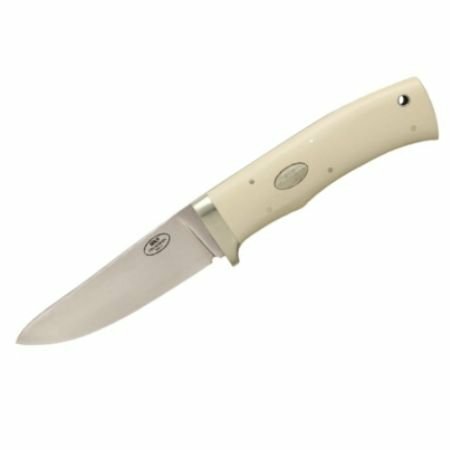 A fixed blade knife helps you break glass, hunting, cleaning game, shelter building, cutting rope, prying doors and windows or hammering. You may use it very efficient also when preparing food, eating, hunting or even for self-defense. When we talk about strength, the fixed blade knife is certainly a very strong knife that doesn’t pivot around like a folding knife. As for the size, even a small fixed blade knife is longer and heavier than a folding knife. These are good points when it comes to the heavy use. The longer the knife is, the greater the leverage would be. You don’t have to worry about taking care of your fixed blade knife. You don’t have the problems of hinge and locking mechanism that a foldable knife has (prone to clogging). 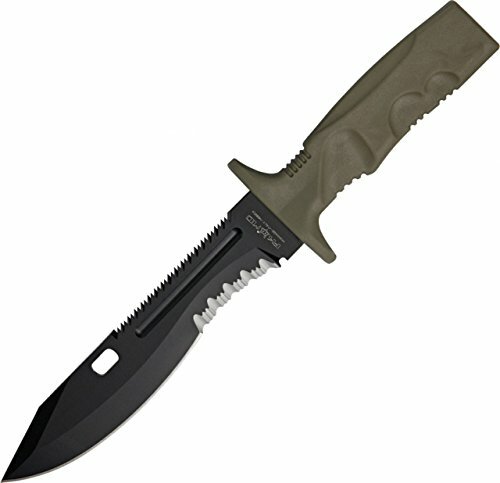 Last but not least, keep in mind to always go with a fixed blade knife as your primary blade in your bug out bag. You also want to get a foldable knife for your EDC kit, but make sure you get a strong, reliable fixed blade knife as your primary knife. What makes a good fixed blade knife and what doesn’t? There are many fixed blade knives out there, at low prices, and even though they look pretty string, the blade is in fact pretty weak. Don’t get fooled by the aggressive design and it only takes some short time until they fail on you and even cause some injury. Despite the fact a double-edge looks rather cool on a fixed blade knife, this actually weakens the blade’s strength and you can’t use the knife for prying or batoning wood. 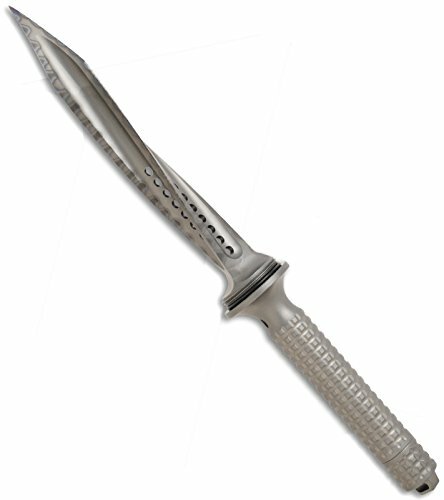 The blade is never thin on a fixed blade knife and a drop-point knife blade is the thing to look for. Go for a curved edge also, as this type of blade makes it easier for you the skinning and the finer cuts. Stay away from an tanto-style blade, even though it’s thick at the tip. As this type of blade has no belly, it’s more difficult when slicing. Try to find a full-tang constructed knife as this means the blade goes all the way to the end of the handle. This gives a structural strength to the knife, allowing better leverage when cutting through a hard object. A partial tang means less force on your fixed blade knife, no matter how well the two parts may be assembled. No matter how cool a knife with chainsaw teeth might look, it’s also less practical than you might think. A plain blade means versatility and a combination edge (plain and serrated) places in the middle. You also need to check the grind of your knife. A flat grind is more popular and efficient, but it has to fit your needs, more than everything. Don’t stick with a fixed blade knife that doesn’t have a good, sturdy, comfortable grip, no matter how great the blade is. The material of the handle is also very important and it’se very obvious you should run away from the plastic/hollow handles. 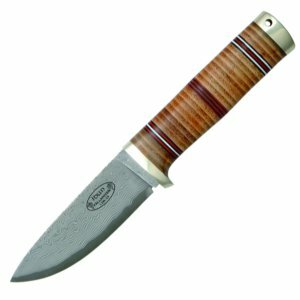 Try to find knives with G10, Kraton, Micarta on the handle as they are strong and lightweight at the same time. As the previous features are highly important when you choose your fixed blade knife, there are also some other things to consider. A good fixed blade knife gives you more than that, like a blunt end (for hammering) or a lanyard hole to thread rope. 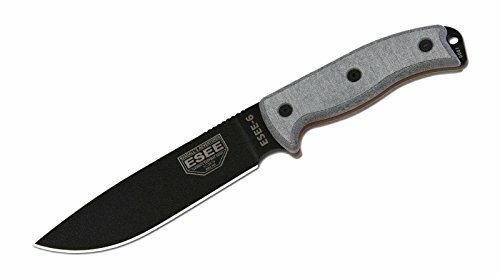 All in all, for the money you pay, the Esee 6P-B is a good, reliable, versatile and efficient fixed blade knife. 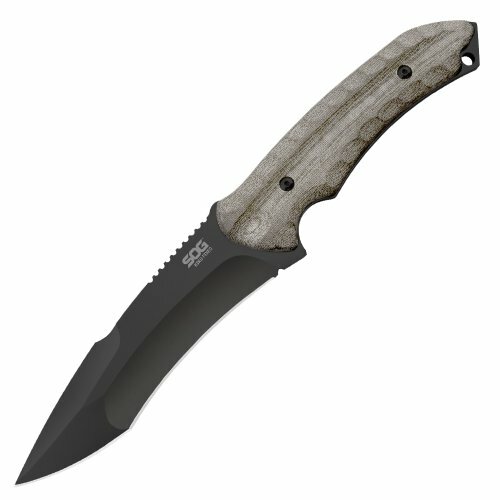 Efficient, reliable, strong, heavy and well balanced, the KU-2012 is a good fixed blade knife, with some limitations just as well. As for the cons, we would only need to mention one. The handle attachment needs to be better than it is at the moment. When you get to the downsides, we can’t think of any. It’s nice, sleek, elegant look might be its only flaw, if you like a more aggressive appearance for your fixed blade knife. As long as you are certain you are going to get into life threatening situations, the Microtech Jagdkommando is a great choice, very sharp and definitely lethal. As for the cons, we have none. None when it comes to its looks, quality or performance. 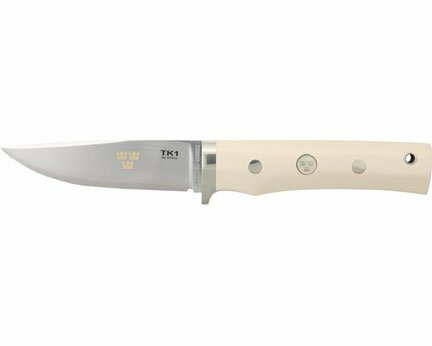 You only need to consider of saving some extra cash before getting is, as the Idun is a collectable knife, and not a common fixed blade knife. As for the cons, it’s almost needless to say that Fallkniven HK9 is an incredible fixed blade knife, that comes with a high price.